Microsoft may have offered Windows 7 and Windows 8 users free upgrades to its latest OS during the Windows 10 promotional campaign, but even the company itself admits that its aggressive tactics went too far. Now, following complaints from a consumer rights group, the Redmond firm has pledged never to do it again – but that may only apply in Germany. In 2015, some users complained that Windows 10 was downloading and installing itself on their PCs without permission. Naturally, this annoyed a lot of people, especially the Consumer Center in Baden-Württemberg, which filed a lawsuit against Microsoft over the practice. Whether Microsoft will honor its promise outside of Germany remains to be seen, but given the massive backlash it faced from the forced upgrades, it’s hard to imagine the company making the same mistakes again. In its aim to get Windows 10 onto 1 billion devices, Microsoft made it a ‘Recommended Update’ in February last year, rather than an optional one. Popups advising users to switch to the newer OS plagued systems and even appeared during a live weather report. But the worst part was when Microsoft used malware-like tactics by changing the function of the corner ‘x’ in one popup; instead of canceling and closing the dialog box, it acted as consent to the upgrade - a move Microsoft later admitted it regretted. This title is extremely misleading. 1) Windows 10 was more than just an 'update'. I thought this was referring to patches. 2) No mention of Germany specific. killmess, mbrowne5061, thelatestmodel and 11 others like this. killmess, Theinsanegamer and Stark like this. Yeah, it would be more interesting to see these kinds of suite's brought in the World Court .... more to see how hard Microsoft would fight it and if they lost, how well they would comply. "but that may only apply in Germany". And probably only applies to a certain town or village. This is M$ shooting the breeze here and who the hell believes or ever remembers what they say? So, the moral of the story is: do whatever the hell you want and then apologise for it 18 months later and it'll all be ok.
Theinsanegamer and Darth Shiv like this. It's funny how they agree they went too far and still only decide to stop doing it in one country. It's still OK to do it anywhere else for some reason. Windows 10 is my favorite Windows OS ever. And I was a tremendous hater of 8, 8.1...and 7 didn't make me happy either. That said: the way Microsoft handled Windows 10's forced update was terrible. It was best done by downloading to a Flash drive and then rebooting to the Flash drive installer. Trying to have computers download it and then install it was a death trap for all but the mightiest PCs. thelatestmodel, Theinsanegamer and Teko03 like this. Since Windows 10 is supposed the the 'last version of Windows ever', how in god's name could there even be, another 'forced upgrade'? "Gee, we screwed over everybody and their mother with this Windows 10 forced upgrade". "Now that we've rammed a bout a half billion copies down our customers throats, we feel it's time we stood up and pretended we're sorry". (Lawsuits tend to bring out the crocodile tears in corporate execs. Take note, the blast screens on their microphones are usually wiped with fresh onion juice, before they 'repent' in public). Hey Satya it's time to earn your millions, get the hell out there and fake looking ashamed. 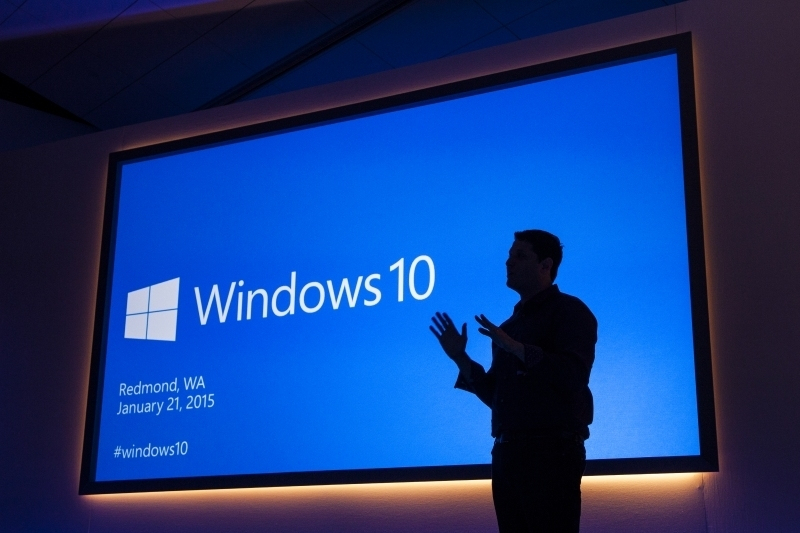 There are still (and will be) newer versions of Windows, they are just all called Windows 10. Right now there are 4 versions of Windows, the original, November Update, Anniversary Update and Creator's Update. And they'll force the users to update, because they'll deprecate older versions after 18 months and will no longer be supported. If you don't stay up to date on Win 10 Home and Pro, you lose support for security updates after 18 months. So, they kind of screwed with people on both ends. Well Mr. Mendes, they already do that, it's called, "Windows 7". Which BTW, still contains 'Windows Media Center', as a no cost add in. I miss the days when Microsoft knew what they were doing. Now...it's foggy Win10 crap like this, as well as buggy updates/patches, an always fouled up mobile phone strategy with no clear direction, and Nadella never being clear on what they're doing, except to spout nebulous & empty 'visions' of their goals. ...[ ]...Now...it's foggy Win10 crap like this, as well as buggy updates/patches, an always fouled up mobile phone strategy with no clear direction, and Nadella never being clear on what they're doing, except to spout nebulous & empty 'visions' of their goals. I thought it was patently obvious what Nadella was doing, mindlessly trying to steal Apple's business model, since he has no clear talent other than copying from a successful company. I fail to see how Microsoft pushing 10 was any different from android? Many phones go so far as to download the updates without asking, then nag you with non removable notifications for an update/upgrade. I'm not fond of anything being placed in my storage space without my permission but the 10 backlash reeks of hypocrisy! My mother has had to be extra careful not to click and accidentally install the update on her phone. It showed up when N was released. At least with ten you could make the miniature bubble notes go away for a while. Android you have to actively dodge the non removable install notice. Or risk your phone data etc in a single tap. Get 10 wasn't a security risk. It didn't stop you from working. It didn't harm anything. It was annoying but not destructive. So call them all out or go hide in your hole. Hypocrisy is so old. Get 10 wasn't a security risk. It didn't stop you from working. Tell that to all those it did stop. Better yet pay more attention to the stories being told. What stories of people being pertinently stopped from working? Where did an optional upgrade, free at that, stop anybody who chose not to upgrade. I've not read a single story backed by evidence that simply being offered the upgrade stopped windows 7 or 8.x from running. There were issues in the roll out for those that CHOSE to upgrade. That's a different story. Support will be shut down for every old version eventually but again that's not a Microsoft problem. Upgrade or don't. It's not reasonable to expect updates and fixes forever in any software program. People are screaming only because it's Microsoft, not because it's anything unique that only Microsoft did. "Better yet pay more attention to the stories being told." Since you insist there are no stories. Our video production facility updated all 5 machines to Win10. Productivity was cut by more than 50%. All machines now returned to Win7. We have to use what works! Nope. One link about users who didn't pay attention and two about lawsuits for users who didn't pay attention. All you did was reiterate what I had said, Microsoft is in trouble for taking advantage of users stupidity. Because they are Microsoft. Once again all the pointed out issues were with people who chose to install win 10 or were too stupid not too. These are the same people who click next next next and get browser tool bars and add services. Microsoft loves people like you, especially their PR department. Are you putting this in a resume? Not at all. My primary OS is Debian, I use an iphone. And an android tablet. I also use 95 osr2 on a leading edge and windows 10. My upgrade wasn't smooth at all the first jump from 7. I had to load departed and fix all my boot settings. I'm sick of our hand holding; hypocritical hand holding use of law. If you click the annoying bubble and then click click click on next and ok and install you and you alone are the responsible party to the action. If you click click click on the buzzing bee in the most annoying banner ever, and miss, you and you alone are responsible for your drive by downloads. I was one of the victims of the forced upgrade. I was in the middle of a back up. The pop up came at a bad time. I clicked the x to close and went to do something else. When I came back the upgrade was nearly done and my data was lost. That's what I get for not sitting in front of the PC during a long boring process. I sent the drive off to a data recovery center with no luck. Most expensive "free" upgrade ever. 7th heaven, me - forced2seben by hardware, not venturing any further into the Ballmer-hole (and its offspring). The Win8.2.0 thru .3x -Patch- brought precisely nothing to this party. Finally converted the family experiment touch-screen to Linux, Prime's and Netflix's and web's its happy donkey off now (seben's support of touchscreen is -understandably- lacking). gotta pass on the pill.